South west of Newcastle on the NSW Central Coast, Awaba State Forest is bordered by Heaton and Watagan State Forests. The Great North Walk runs through Awaba State Forest. Forests in this area have been harvested many times over for timber for many decades – some for over 150 years - the forests you see today are regrowth forests. Today's forest management practices protect biodiversity, soil and water quality and cultural heritage sites while also allowing for sustainable timber production. You can find out more here: sustainable forest management. 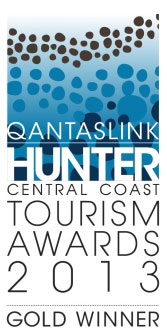 The State Forests of the Watagan Mountains (Awaba, Heaton, Olney, Ourimbah, Watagan and Wyong State forests) have won the Gold Award for Adventure Tourism in the Hunter Central Coast Tourism Awards in 2012, 2013 and 2014, earning their place in the Tourism Hall of Fame. 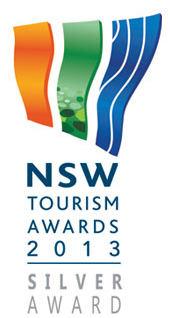 They also received a bronze award in the tourist attraction category in 2011 and won the silver award for adventure tourism at the NSW Tourism Awards in 2013. This is a commercial paintball business within Awaba State Forest. Delta Force Paintball Newcastle offers a unique and exciting paintball experience. This business is privately operated and available for bookings. For information, visit www.newcastlepaintball.com.au or phone 1300 981 428.